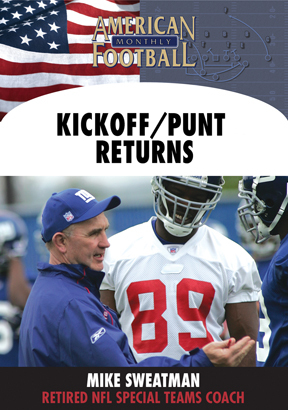 Mike Sweatman was a member of two New York Giants Super Bowl Champion teams. 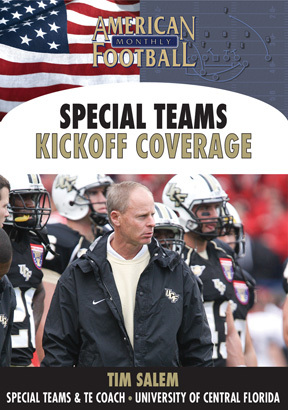 A coach for 38 seasons and an NFL special teams coach for 23 years, Sweatman also coached for the Minnesota Vikings, New England Patriots, Chicago Bears and New York Jets. 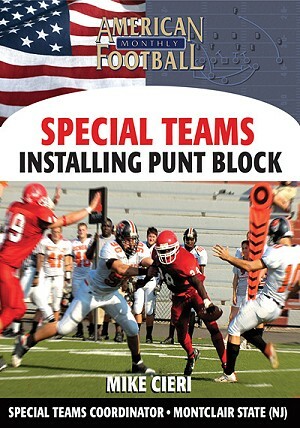 In this DVD, the first of a three-part set, Sweatman details maximizing your kickoff and punt coverage. � The concept of �Force Multipliers� to increase efficiency and improve results. 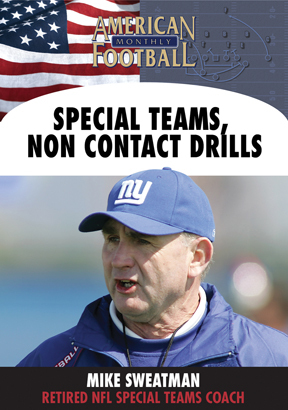 � Setting a specific special teams routine and training your personnel. 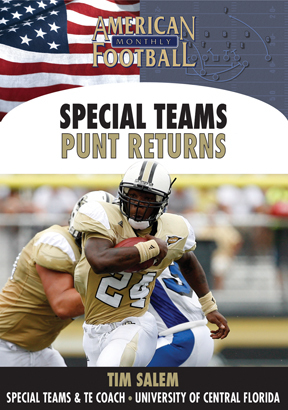 � Understanding the importance of the special teams huddle. 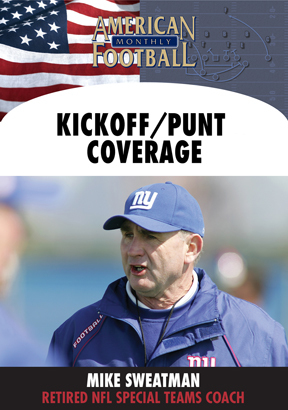 � How alignment is critical for both kickoff and punt coverage. � Importance of staying onsides. � Sprinting at full speed and avoiding blockers. � How to outrun cross blocks. 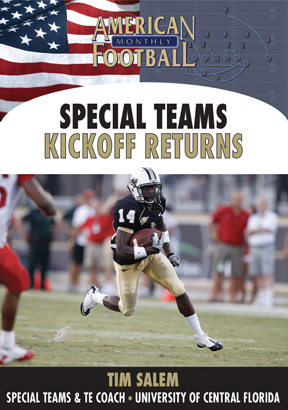 � The first player downfield forces the issue. 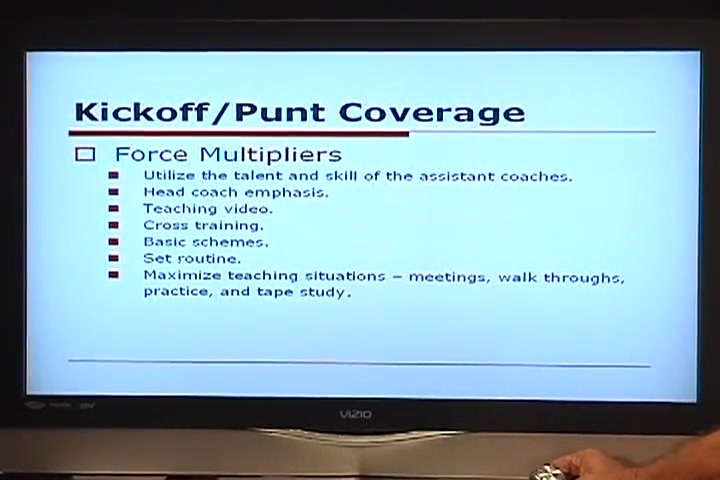 � Play blockers inside the 30-yard line or within 15 yards of the ball carrier. � Never trade one for one. � Avoid the big mistakes such as not sprinting at 100%. � Making the proper tackle by wrapping up the ball carrier. � Not breaking down too soon. � Be sure to return to your lane. 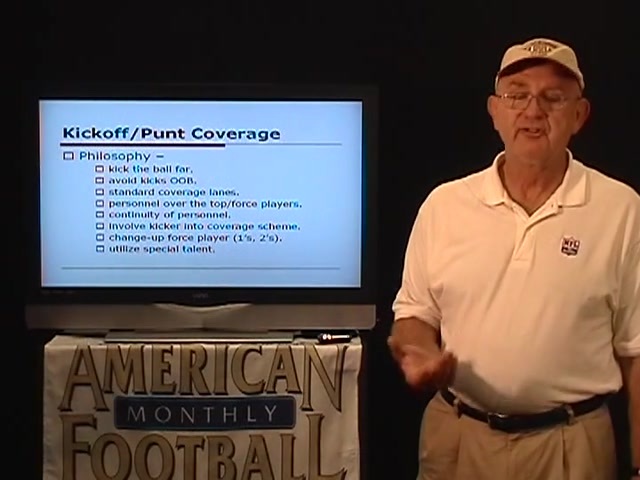 � Kickoff coverage objectives, philosophy, and coverage schemes. 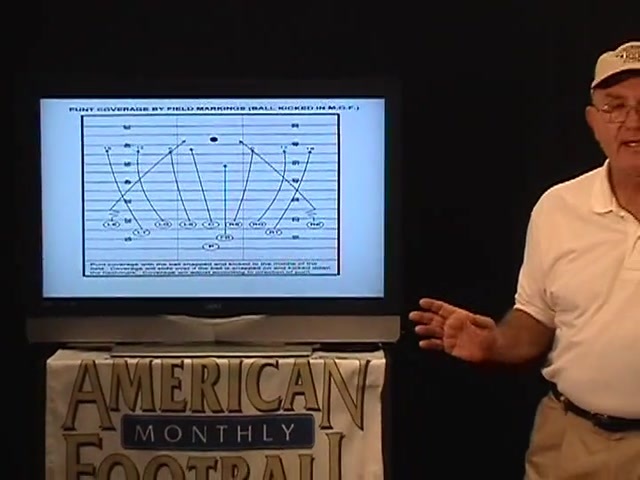 � Responsibilities for specific kickoffs such as the deep middle kick and returns up the middle and to the left and right. 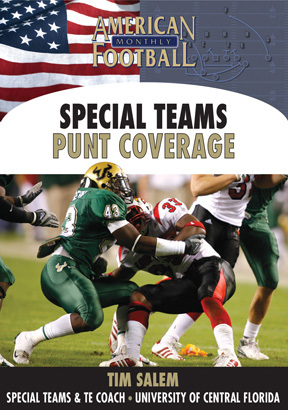 � Responsibilities for specific punts with contain objectives for punts kicked straight ahead and to the left and right.